22 international diplomats, 70 Jews, one Passover seder – J. When I imagine the platonic ideal of a Passover seder, it is loud, discursive, long and more than a little chaotic. Yet I also know the American seder is a ritual constantly in flux and infinitely adaptable. The seder is a pedagogical tool, a spiritual experience, a political statement — and whatever else you want it to be. It can also be an occasion for bringing other communities into closer relationship with ours. Think of interfaith seders, social justice seders, etc. Last week, well before Passover, I attended one of these: AJC’s Diplomats Passover Seder. 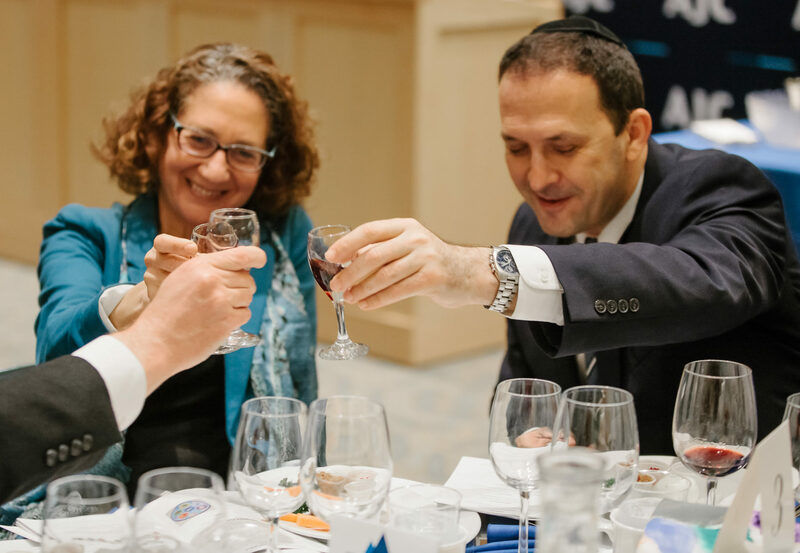 The American Jewish Committee has for years conducted diplomatic seders in other cities where it has branches, including the nation’s capital. This is the second time AJC San Francisco has hosted one. All of the 40-something diplomatic missions in San Francisco were invited; 15 showed up. There were consuls, deputy consuls, vice consuls, honorary consuls and consular spouses, for a total of 22 honored guests from the glamorous world of foreign diplomacy. About 70 members of the local Jewish community also attended, including a small contingent from AJC ACCESS, its young professionals group. When I arrived at Congregation Sherith Israel in San Francisco, the site of the seder, a reception was in progress. As soon as I walked in, a very tall Indian man got my attention and asked if I’d take a photo of him with his friends: on my left, a man with a Chinese flag lapel pin; in the middle, an Indian man with a pin that identified him as Sukhi Chahal of the Punjab Foundation; and on the right, a man with a Japanese flag lapel pin. “Wow, all the Asian heavy-hitters stick together,” I said, and they chuckled politely. When I asked about the Jews of their respective countries, Chahal pointed proudly to the Jewish community of Mumbai. The Chinese representative was vaguely aware of the ancient Jewish community of Kaifeng. The Japanese man shrugged sheepishly and we laughed — Japan has never had a significant Jewish community — but he did mention the recent U.S.-Japan-Israel Innovation Summit in Silicon Valley. 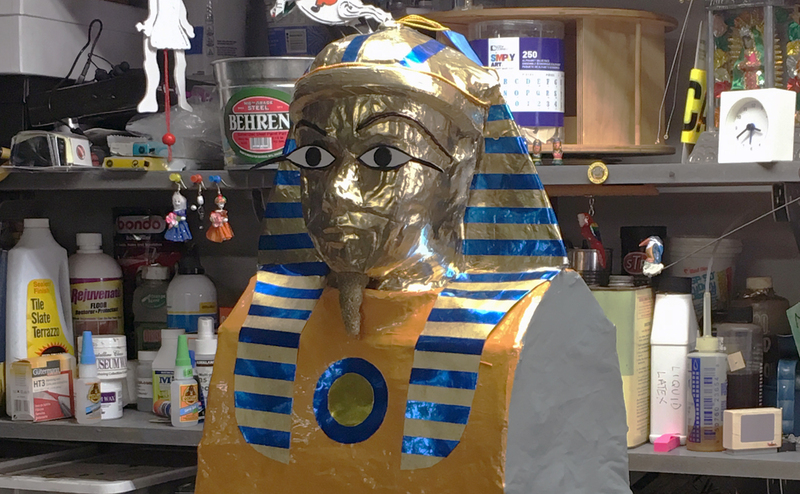 The seder itself proceeded with a brisk formality, led by Rabbi Corey Helfand of Peninsula Sinai Congregation in Foster City and Rabbi Jessica Zimmerman Graf of Sherith, with music from Sherith’s Cantor David Frommer. John lives in the Mission, and told me he sometimes goes to the Mission Dolores. I thought for a moment about the juxtaposition of a red-haired Irish Catholic attending Mass at the ornate Spanish Colonial Revival-style church — a fine reminder of how complicated and varied any global religious group can be, just like us. If that sort of bridge building went on in the minds of others in the room, this diplomatic seder did its job. For each diplomat I spoke with, the seder was an entirely new experience. Some were a completely blank slate regarding Jews. In introducing the seder, Graf gave two reasons that Jews tell and tell and retell the Passover story. One, so that we never forget our history. And two, “it’s everyone’s story.” The universalism American Jews tend to see in the Passover story was front and center at this seder. Mitzrayim, the Hebrew word for Egypt, also means a narrow place. At one point, we were asked to turn to a neighbor and describe a personal narrow place from which we have escaped. John taught me a little about modern Ireland: “We’ve come from something of a narrow place.” Long economically depressed, Ireland has emerged in recent decades as a center for international business and even a technology hub. (In Dublin, he told me, they have the “Silicon Docks.”) “I was lucky to be born in my time,” he said, a time when the economic prospects for younger Irish people are quite positive. Immigration from a place of restriction and oppression to a place of possibility and freedom is obviously a narrative dominant in politics and news today. In that vein, the evening featured an address from Janeth Medina Larios, a DACA recipient who came to the U.S. at the age of 6. Her parents, she told the group, “believed the promise that their children would find a better life here.” She told us of years of hard work in public schools during the school year, and more hard work picking oranges during the summer. But Larios spoke from a place of success — she is now an assistant vice president at Bank of the West. Hers was a hopeful story, an illustration of what happens when a narrow place gives way to a wide one. Billed ahead of time as the highlight of the seder, the Four Questions was a six-language treat. First, Helfand read it in English. Then, Israeli Consul General Shlomi Kofman read it in Israeli (that is, rapid-fire, unchanted, melody-free Hebrew). Then an Italian official read it in Italian, a Ukrainian official in Ukrainian, a Mexican in Spanish, and, finally, we were treated to Tagalog by a Filipino. And then, of course, we all chanted the questions out loud in that sing-songy melody used at every seder I’ve ever been to. Most of the room was chanting from memory, and several diplomats perked up in surprise. As at so many seders, the Four Questions functioned too much like a stand-in for actual inquiry. To me, questions are the key to the seder. It is said that if someone asks a question before it’s time for Four Questions, the recitation may be skipped, for its purpose has already been fulfilled. The guests got to recite, but they didn’t get to ask. We sang “Go Down Moses,” the black spiritual that is now as much a staple of many American seders as any other Passover song. And then, a paradoxical rendition of Dayenu: For the Jews, it was mercifully brief, but for the non-Jews, I fear we didn’t force them to suffer through quite enough of it to really impress upon them the full impact of the interminable song. The seder managed to conclude with no akifomen antics. Not surprising, but a missed opportunity to see a pack of accomplished international diplomats doing something patently ridiculous. On my way out, I stopped for a second to chat with a Guatemalan official. It was “good to learn a culture I never experienced before,” he said. He also told me a story of a Guatemalan village where the local Mayan population had expelled a small Jewish community. “Jews, they are just looking for a place to live with peace,” he said. Puzzled, I turned to Google. 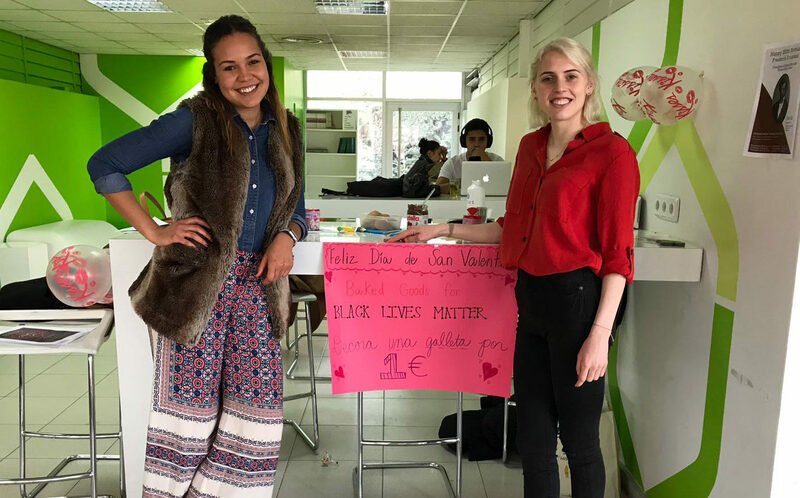 In 2014, a group of members of Lev Tahor, a fringe Jewish fundamentalist sect that covers its women in burqas, was kicked out of the village of San Juan La Laguna. 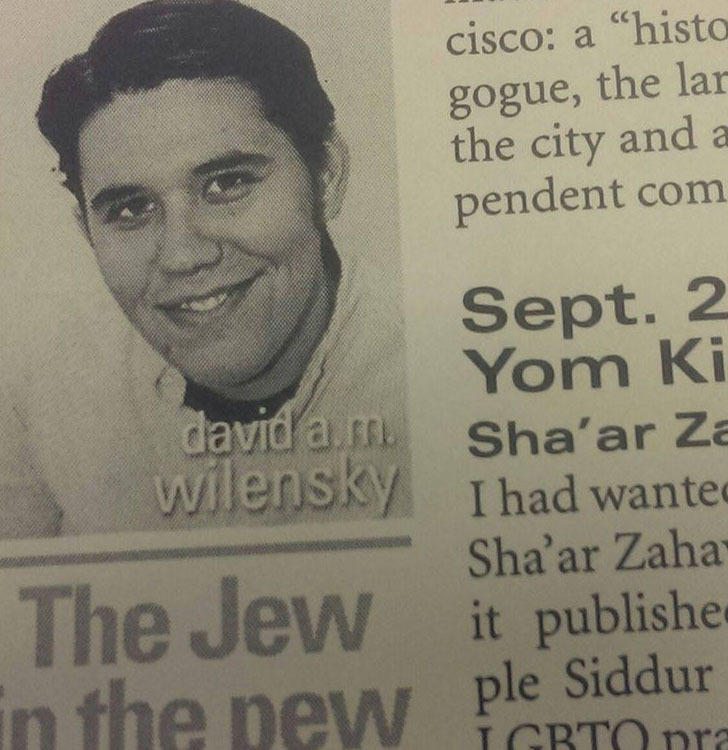 If that’s the only image of Jews he had up to this point, I’m sure glad AJC got him to this seder. And if we added to his understanding of the Jewish people just a little, the seder did its job.